Stop this blaming game and carryout proper tight investigation to ensure the lawyers don't set this yams eaters free. That all.!! 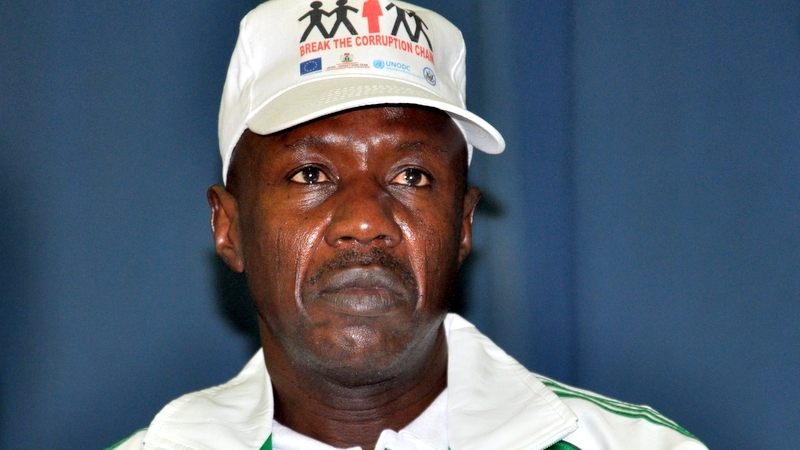 I don't know much about Magu's life history,apart from his detention at one time for seemingly being too diligent in his work, but hearing him talk sometimes gives one the impression of one that has had some personal family tragedy arising from the corrupt deeds of some pple in high places and is therefore out to bring to book the corrupt and anyone that stands in the way of the corrupt being brought to book. MagU wants to win every case in court. Magu is a fool he doesn't want lawyers to eat? So lawyers should not do their job again? This guy na mumu. If devil nor dey, how pastors wan shine? Get better lawyers if u wanna win all cases!!! Daft comment from a supposedly intellectual person, so he would prefer the senior lawyers to sheepishly follow the 'newspaper allegations' EFFC has been working on. BTW, Se senior lawyers no get bills to pay? Why won't they collect money to defend them? Ode! But him no wan do proper investigation before charging the case To court! This is very poor from EFCC...apart from the fact that everyone is innocent unless proven guilty, every human being is entitled to legal representation. Magu, calm down. We SHALL win!! Mugu or whatever you call yourself.... U have to arrest Buhari first for presenting a fraudulent budget before anyone will take u serious again. And whr's ur petition against them to the EFCC which indicts them? You are doing your job and they are doing theirs...whoever does his job best wins..so shut da fuc.k up and face ya job..
A Day-Old-Baby Whose Mother Has No Where To Go After Demolition Of Lagos House / Why Obasanjo Can’t Forgive The National Assembly / Ogun Poised To Overtake Lagos In Development!